Lithuanian President Dalia Grybauskaitė expects the Seimas to debate an agreement on the status of US troops in Lithuania during its extraordinary session next week. "I have asked for urgency. I hope this will be done during the extraordinary session. We want to finalize this process as soon as possible to show the US and other partners that Lithuania is ready to host NATO allies and jointly prepare for the defence of the country," she said during a formal ceremony in Rukla to welcome NATO's enhanced forward presence battalion. The parliament is scheduled to hold an extraordinary session on February 14, with the agenda solely focused to legislation related to children's rights protection. 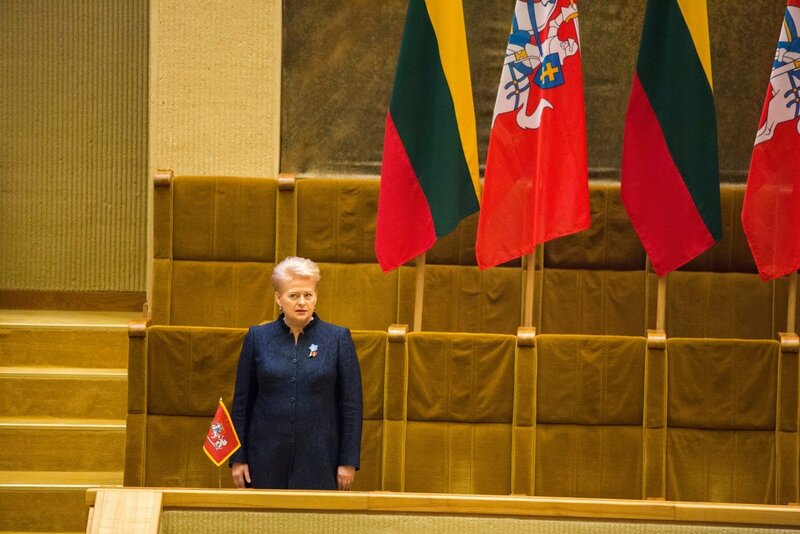 President Grybauskaitė on Monday submitted the agreement to the Seimas for ratification under the urgency procedure. The agreement was signed by Lithuanian Defence Minister Raimundas Karoblis and Anne Hall, the US ambassador to Lithuania, on January 17 and will take effect after it is ratified by the Seimas. The new shift of United States troops is coming to Lithuania in February with ten tanks.